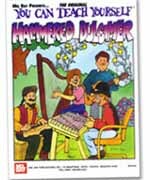 Every aspect of the hammered dulcimer and its playing techniques is covered in this comprehensive, yet easy-to-understand text. A masterful teacher, Madeline MacNeil exceeds the expectations of a beginner's book, providing a firm foundation for the development of a total musician while maintaining an engaging, informal tone throughout. With detailed discussions on dulcimer layout, hammers, tuning, and stands plus extensive performance notes on every tune, this book is a valuable asset to the beginning through intermediate player. From Oh Suzanna to Jesu, Joy of Man's Desiring, Madeline shows the novice dulcimer player how to 'map your way through' a new piece of music, finding clear, musical directions through what at first must seem like a maze of strings. All tunes are in standard notation. The book's 87 pages are illustrated with photos as well as quaint woodcuts, engravings, and pen and ink drawings.